Located in Prince William County Virginia, Haymarket has a rich history and is also a fast developing area for residential homes and businesses. This formerly rural area was previously known as “The Crossroads” due to its location at the intersection of several Iroquois Indian hunting paths. With the construction of Route 66 in the 1970’s, the town was now accessible and began to develop from a rural area to one more suburban. In the 1990’s, The Walt Disney Company proposed to build a theme park here called Disney’s America, but residents in and around the area vehemently opposed it and the project was cancelled. Now Haymarket has a burgeoning housing market, expanded infrastructure and many retail businesses to support the growing area. Formally founded in 1799, Haymarket was chosen as the site for the area’s District Court however, in 1807 the Virginia General Assembly moved to a circuit court system. In 1830, the courthouse was converted into and Episcopal Church. In 1862 during the Civil War, Haymarket was invaded by Union troops and burned to the ground, except for 4 buildings one of which was the church, and remained uninhabited until after General Lee’s surrender. In 1882 the town was incorporated and has continued to grow and thrive to this day. It’s location off of Route 66 and Route 15 has attracted commuters wanting to live away from the city but have easy access to it. The Haymarket Museum is a free venue that chronicles the town’s history located in town. Dominion Valley – a large master-planned community built by Toll Brothers of 1,925 residences ranging from townhomes to large estate homes featuring a country club with 18 hole golf course and many community amenities. Parkside at Market Center – A luxury townhome condominium community with amenities being built by M/I Homes. 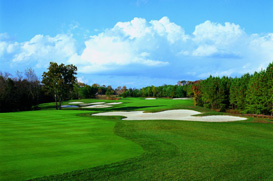 Piedmont – An area of 1,619 homes and features an 18 hole championship golf course and many community amenities. The Regency at Dominion Valley – The sister community to Dominion Valley, this is an Active Adult Community. The Estates at Bull Run – A Van Metre luxury home golf course community with 3-4 acre golf course home sites.